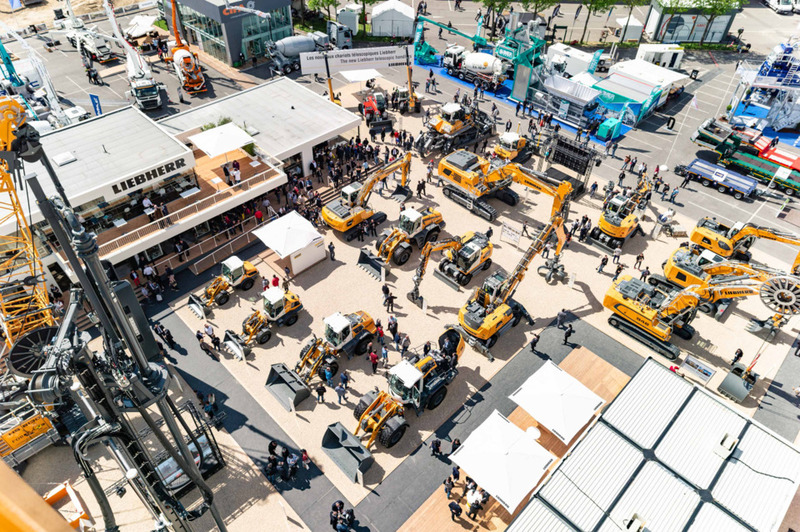 April 5, 2019 - The Liebherr Group achieved a turnover of € 10,551 million in 2018, breaking through the € 10 billion barrier for the first time in the company’s history. This represents an increase of € 739 million, or 7.5%, compared with the previous year. Apart from its new telescopic handler range, the earthmoving division also presented the L507 and L509 stereoloaders at Intermat 2018. The 8th generation of the crawler excavators was launched. In the special civil engineering area the new package for diaphragm wall works celebrated a première with rope excavators and a new hydraulic diaphragm wall grab. Record sales generated in 2018 can be attributed to the very favorable economic conditions and higher demand in several sales regions. Sales continued to increase within the European Union, which is Liebherr’s most important sales region. This can be attributed, among other things, to renewed growth in Germany, which is Liebherr’s largest market, and to the positive economic situation in France and Great Britain. In the non-EU countries, sales revenues fell in EUR terms compared to the previous year, mainly due to the development of the currency exchange rate in Russia. 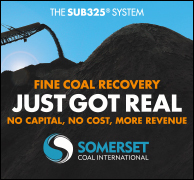 The business also performed very positively in North America, Central and South America, and Asia and Oceania, driven in particular by the markets in the USA, Australia and China. 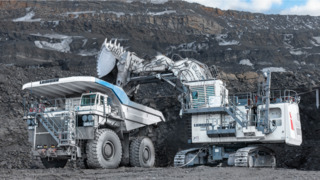 The diesel-electric T 264 mining truck and the R 9400 mining excavator with fully electric drive. As a high-tech company, Liebherr pursues the goal of making a decisive contribution to shaping technological progress in sectors relevant to the Group. Liebherr invested € 586 million in research and development last year. The bulk of this was used in the development of new products. 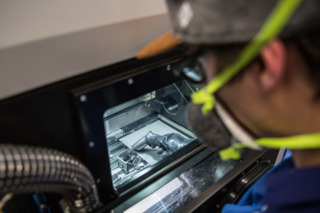 With a mounting for the nose landing gear of the Airbus A350 XWB, the Aerospace and Transportation Systems division delivered the first mass-produced component from its 3D print production. A large number of joint research projects with universities, other higher education institutions and research institutes were initiated and continued. 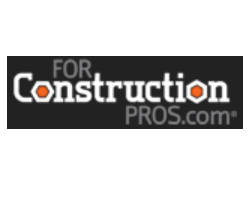 A special area of focus for this research project is the construction site of the future. For example, Liebherr started a development partnership with the RWTH Aachen within the framework of the Center Construction Robotics and is also involved in the "Construction 4.0" joint project initiated by the German Mechanical Engineering Industry Association (VDMA). Important issues across the wide range of products and services include, as they have for many years, increasing energy efficiency, networking, automation and lightweight product design. One important project involves research into additive manufacturing processes in the aerospace industry. It reached a milestone last year by delivering the first mass-produced component using 3D printing. The Group is also forging ahead with e-mobility initiatives, developing charging cable cooling units for charging stations and carrying out research into an electric turbo compressor for fuel cell-powered vehicles. The Liebherr Group invested € 829 million euro in the production sites and the global sales and service network. This means the company increased its investment activities by € 51 million compared to the previous year. Offset against this was depreciation of € 513 million. A new development and exhibition center was opened in Kirchdorf an der Iller (Germany), where new construction and material handling machinery will be developed, tested and inspected. Construction has also started on a new logistics center. In addition, the Group has invested in Bad Schussenried (Germany), which will serve as a new manufacturing site for concrete pumps. New production lines for large engines are being set up in Bulle (Switzerland) and Colmar (France). A new aerospace training center for employees and customers in Toulouse (France) is also planned. 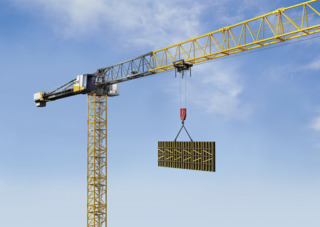 The Tower Cranes division successfully completed the development work and prototype construction of its new EC-B range. The first orders for the new cranes arrived at the end of 2018. Liebherr is starting to install a powerful land-based heavy-duty crane in the port of Rostock. The TCC 78000 portal crane will not only be used to load Liebherr cranes, which are continuing to increase in size, but will also be available for external heavy load handling in the port of Rostock. 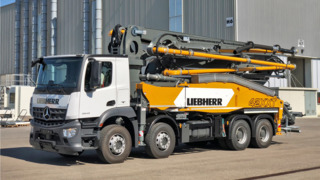 The 42 M5 XXT truck-mounted concrete pump will celebrate its sales launch at bauma 2019. 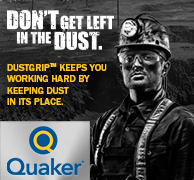 It is equipped with a new Powerbloc drive unit that integrates all hydraulic switch and measuring elements. On April 4, 2019, Liebherr publishes its current annual report. In addition to detailed figures, it contains a magazine section reviewing the past financial year. In an interview, Dr. h.c. Dipl.-Kfm. Isolde Liebherr and Dr. h.c. Dipl.-Ing. (ETH) Willi Liebherr, the second-generation family shareholders, give their summary for 2018. The annual report of the Liebherr Group can be found online at www.liebherr.com/annual-report.